Poppy was not the first dog I had as a child, but she's the first one that liked me. Before I was born, my mother had a three-legged hound mix called Ohm who was afraid of children. She thought he would eventually warm up to a new family member, but he never did. He growled at me for his whole life, even when I became old enough to take on feeding the dogs as one of my chores. He never snapped or bit - I knew to give him a wide berth. Most people would have given him away or dumped him at the shelter; I think that is a testament to exactly what kind of animal devotion is in my blood. It certainly didn't give me any fear of dogs - perhaps due to the exemplary companionship of our next dog. When my parents bought our property in the country - five acres outside of Cortez, Colorado - they decided it was time for a puppy. Some friends had an accidental litter from their Airedale, Terry, (in a ranching area, it's fairly likely the father was a cattle dog) and we brought Poppy home on a snowy February day when I was six years old. I was an adventurous and outdoorsy child, and whether it was building snow forts or collecting bug specimens, Poppy was always at my side. I taught her to dig on command, which was very helpful for finding salamanders or excavating my pretend archeological sites. Poppy once brought me a tiny baby rabbit; in hindsight I know that she probably plucked it from its nest, but she gave it to me unharmed. She loved sticks and tennis balls, and had an almost uncanny affection for my best friend, who often slept over. If I got up before her, Poppy would not let any of us back in the room - as if she wanted to let my best friend sleep in! Again, this is probably behavior that some would frown on, but we found it endearing. We said they knew each other in another life. It was an almost maternal connection. Poppy accompanied us on many camping trips and horseback rides as well as trips to my grandparents' home in Coal Creek Canyon near Golden, Colorado, and later Farmington, New Mexico. 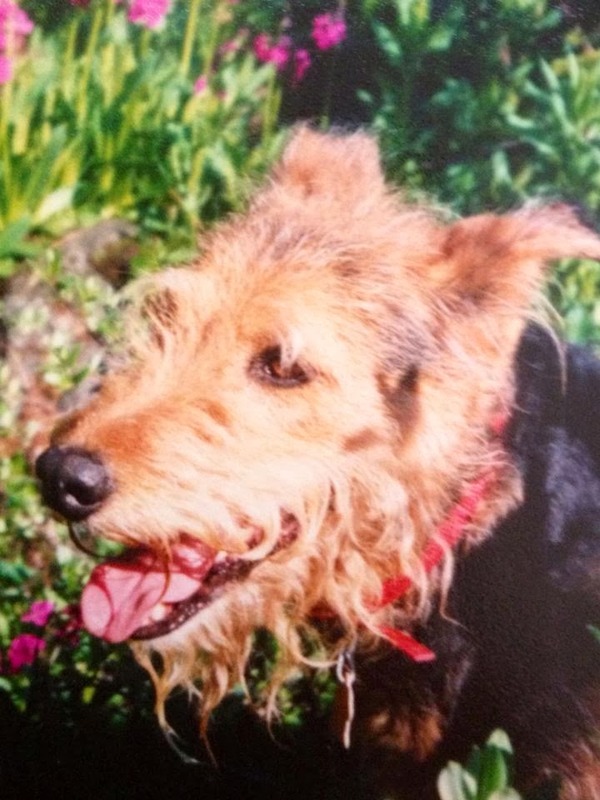 She was a smart, perceptive and loving family dog. When I went off to college for the first time, saying goodbye to her was one of the hardest parts of leaving, and life never felt complete without a dog around. She lived a long life, past fifteen years, and remains one of the best dogs I have ever known. I wish I had met her. Lucky you - she sounds like a great dog for a young girl growing up. Poppy sounds like she was an amazing dog! What great memories she left you with! I think it would have been too hard for my mom to have us /both/ off at college, but what a lovely idea! Awww. I love Poppy's story. She sounds like the perfect dog for a child. Our first dog was much like your first dog - a snappy, growly dachshund. Love your story!